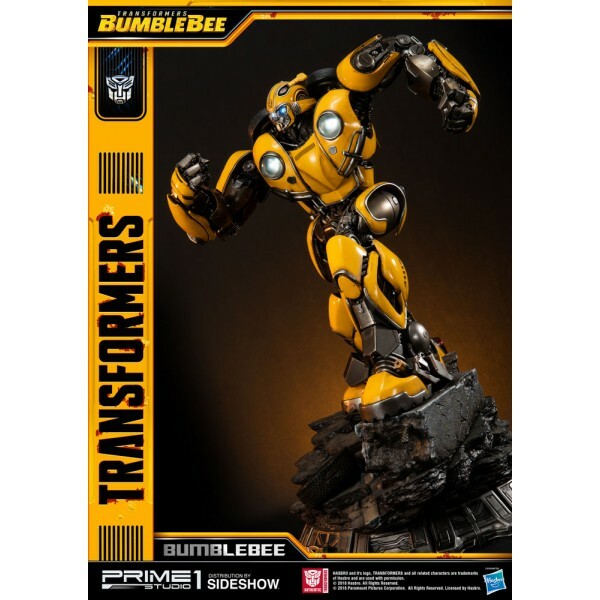 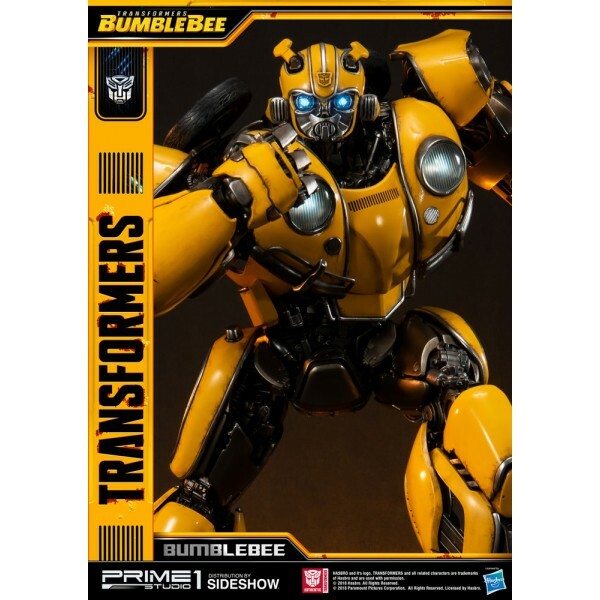 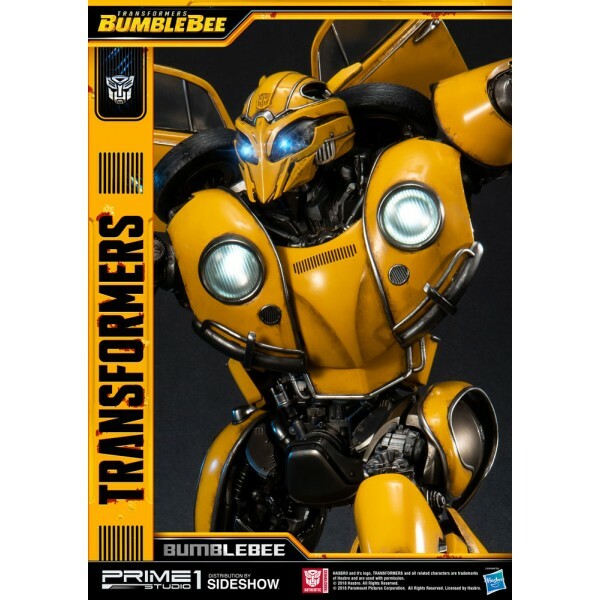 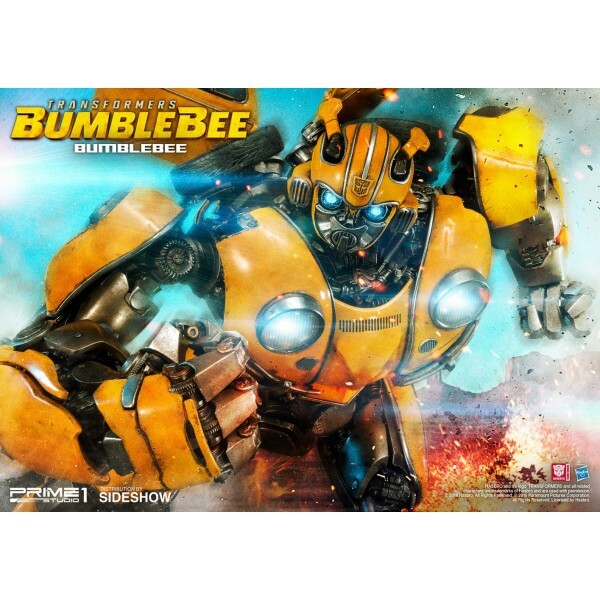 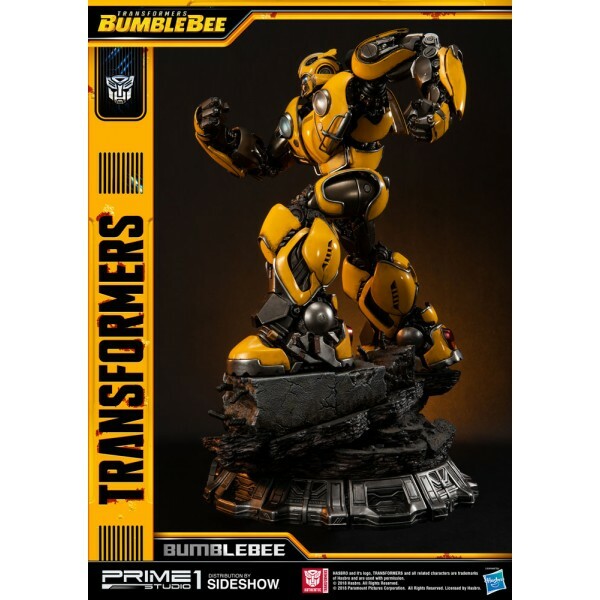 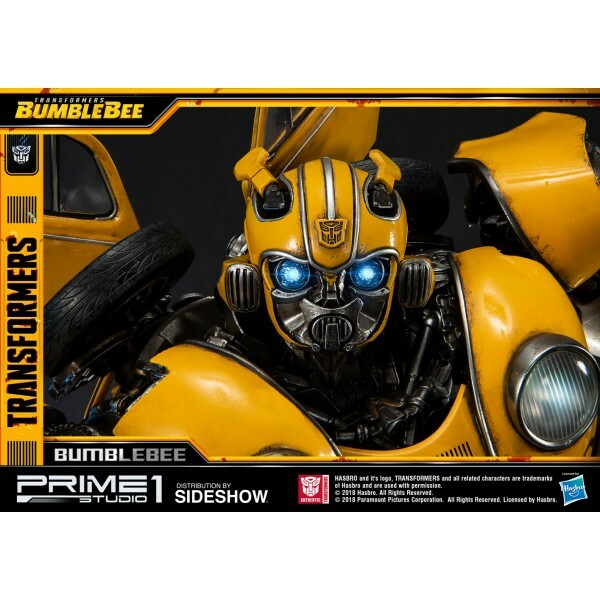 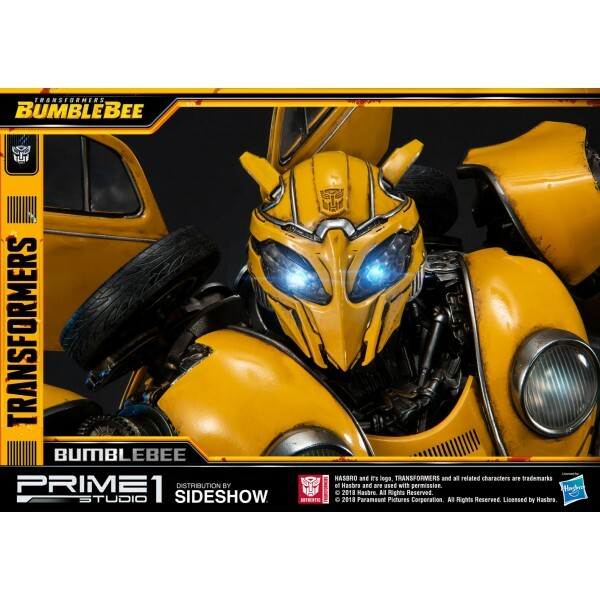 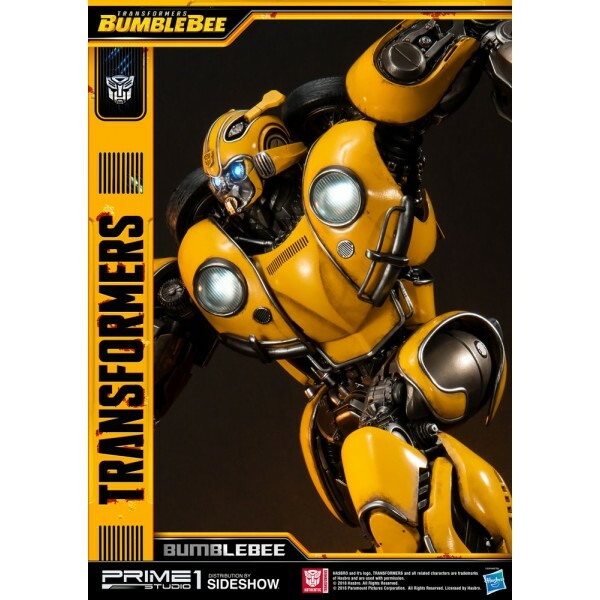 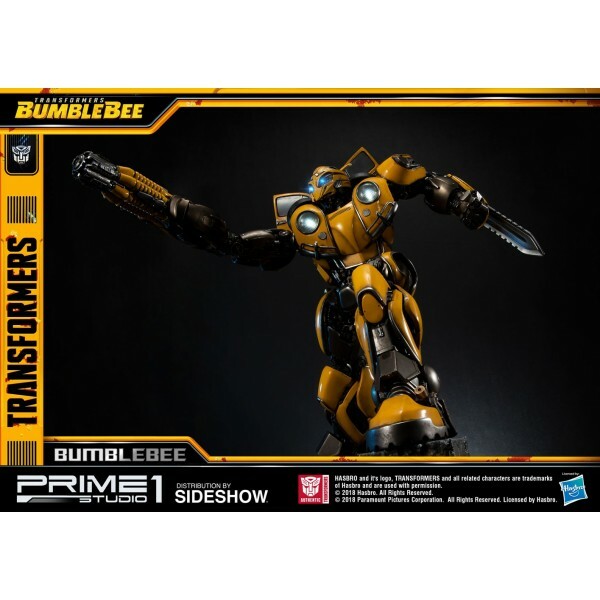 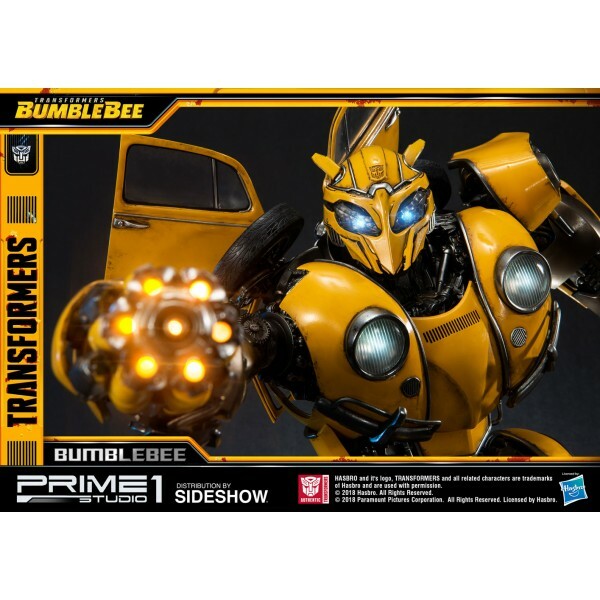 Sideshow and Prime 1 Studio are proud to present Bumblebee from the latest Transformers film, Bumblebee (2018). 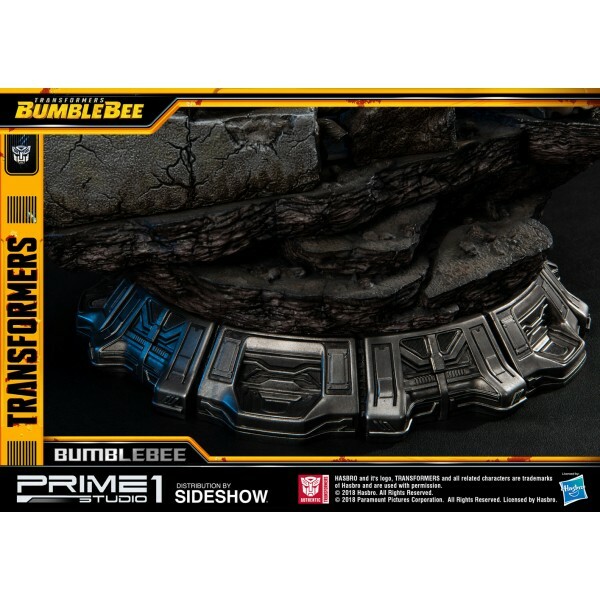 The concept for the film was developed during the writers' room assembled in the lead up to Transformers: The Last Knight, written by Christina Hodson and directed by Travis Knight. 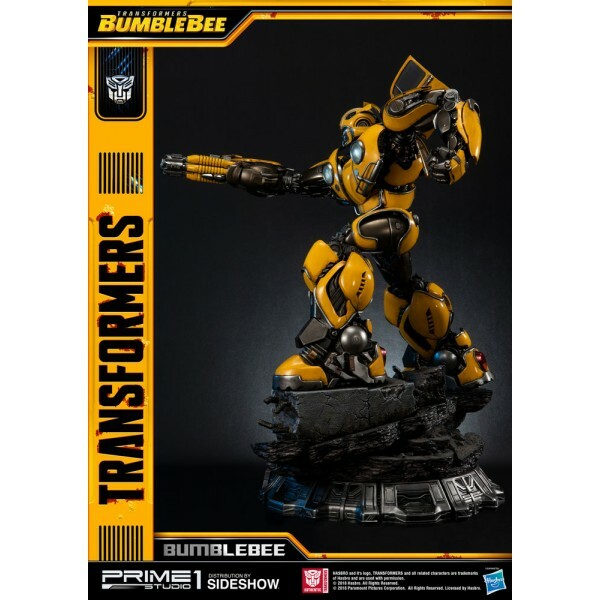 The storyline mainly focuses on the untold history of Bumblebee and takes place during 1987. 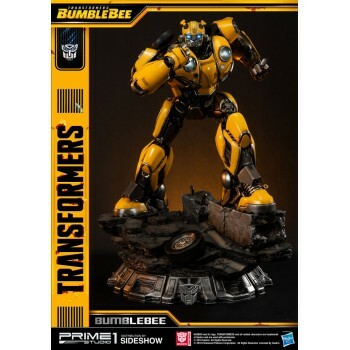 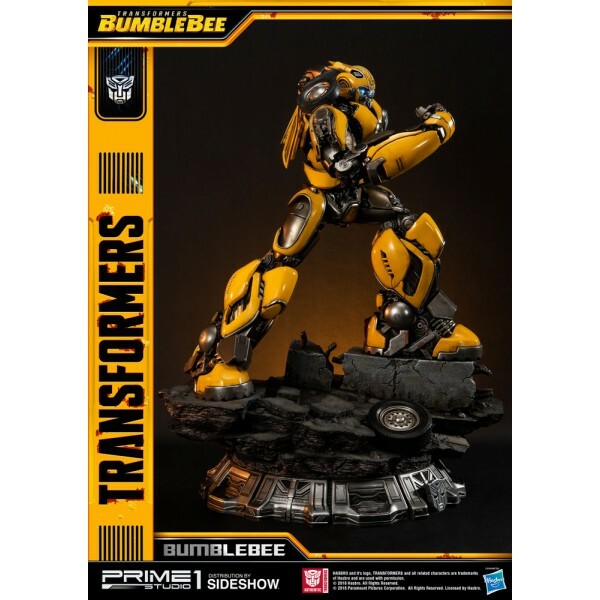 The Bumblebee Statue based on the film comes with 2 alternate portraits. 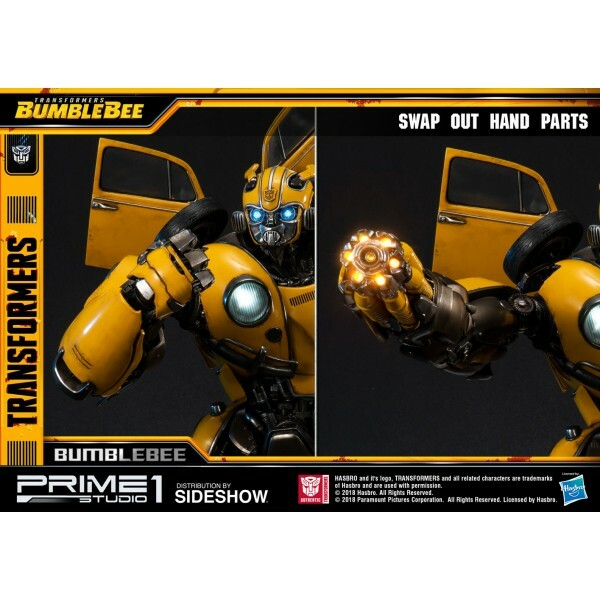 Choose how to display your Bumblebee between the Battle Mask Portrait or Unmasked Portrait showing the cutest face among the Autobots! 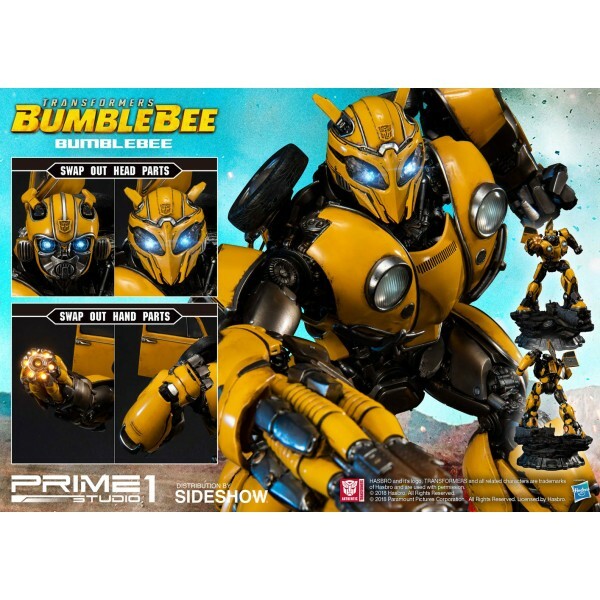 This Bumblebee includes two distinct interchangeable Right-arm options. 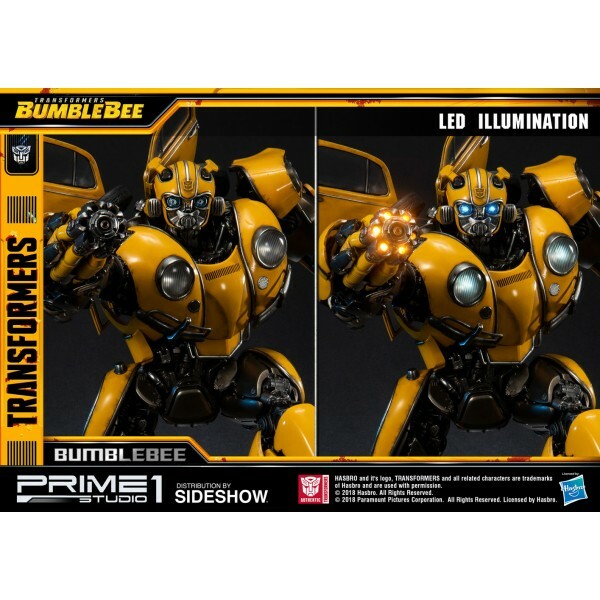 The eyes, chest headlights and stinger blaster have LED light-up features. 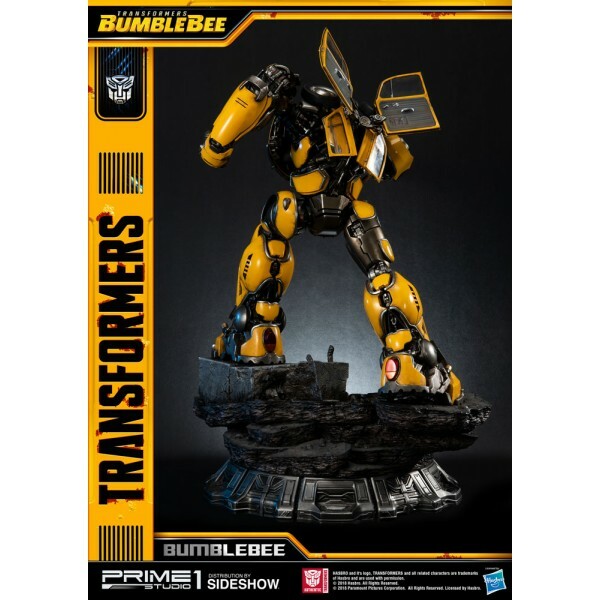 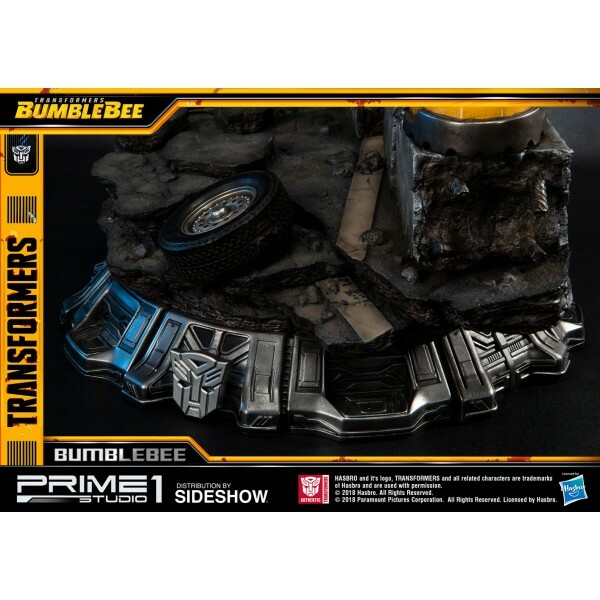 Ready to roll into your display with a special Autobots branded base, don't miss your chance to add Bumblebee to your collection!